We have shown you the Veto Pro Pac (review) tool bag and we have shown you the Occidental Leather Dr. Wood tool bag; but how do these two kings of tools bags compare to each other? 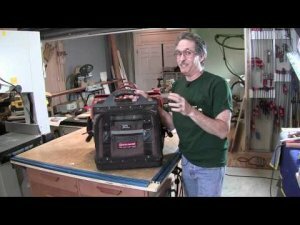 Gary Katz has a video that shows us what you get when you spend over $450 on the Dr. Wood tool bag. For one, you get a bag that is even heavier then the 9lb (when empty) Veto Pro Pac XL. If you can afford the $450 bag, you should also make sure you can afford an apprentice to carry it for you.